Is a BMI of 16 Dangerous? With so many images in the media of very thin women, some people will diet to try to fit in with this idea of beauty and in the process become so thin that they're unhealthy. Others may be overly thin for different reasons, but whatever the cause, it isn't healthy to be underweight. A body mass index of anything under 18.5 is considered underweight and can have potential health consequences, just like being obese. Speak with your doctor if you have a BMI of 16 because this is dangerously low. It may actually be healthier to be slightly overweight than underweight. Both being obese and being underweight, but not being overweight, were associated with about double the risk of all-cause mortality compared to being at a normal weight in a study published in the Scandinavian Journal of Public Health in 2008. Not that being overweight is good; it was still associated with an increased risk of chronic diseases, such as heart disease. Another study, published in the Journal of the American Medical Association in 2007, found similar results, noting that the increased risk for mortality in those who were underweight was not due to cardiovascular disease or cancer. 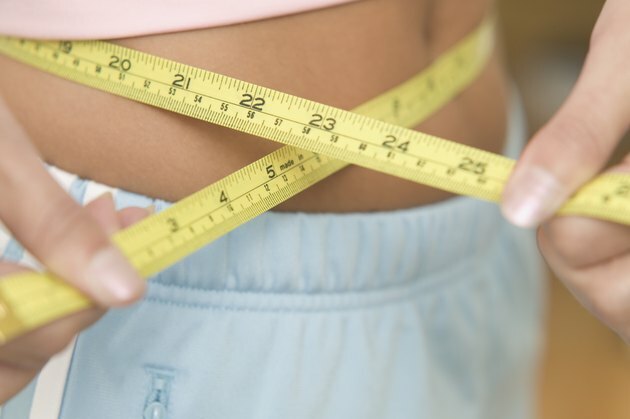 Being very underweight, as is the case with a BMI of just 16, could cause a number of health problems. It could cause hair loss or thinning, skin dryness, fertility problems, increased osteoporosis risk or a weakened immune system so you may get sick more often. In some cases, you could also develop anemia, which can cause headaches, dizziness and fatigue due to the blood not being able to carry enough oxygen. Being very underweight with a BMI of only 16 makes these risks more likely than if you were just slightly underweight with a BMI closer to 18. Although some people purposely diet and exercise to get very thin, this isn't always the cause of this problem. A number of factors could be responsible for you being underweight, including a lengthy hospitalization, a serious illness or simply finding it difficult to eat enough to maintain a higher body weight. Genetics can also contribute, as some people are naturally thinner than others, although genetics probably isn't the only thing responsible for having a BMI as low as 16. Certain medications, as well as depression or stress, can contribute to a person being underweight as well. Speak with your doctor to make sure you don't have a health problem that causes your weight to be low; addressing the cause of the problem may be necessary before you'll be able to bulk up and reach a healthy body weight. Eating at least five or six times each day, drinking beverages in between meals instead of with them and selecting healthy but higher-calorie foods -- such as nut butters, cheese, nuts, olive oil, avocados, dried fruits and dry milk powder -- can all help you gain weight in a healthy manner. Don't try to gain weight using supplements or junk foods, as this isn't healthy and may increase your risk for certain health problems, such as diabetes, even after you gain weight. Strength training can help you build muscle, but depending on your doctor's instructions, you may not want to do too much aerobic exercise, as this could interfere with weight gain.